The spirit of Christmas was well and truly evident at The Brunel centre this Christmas, with the shopping mall seeing a significant increase in donations to its festive charitable activities. 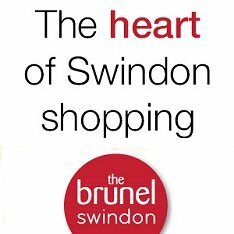 As in previous years The Brunel, which is based in Swindon Town Centre, supported two local charities, Prospect Hospice and homeless charity Christmas Care. For the second year running, a team of Prospect’s volunteers ran a charity gift-wrap stall in the centre. 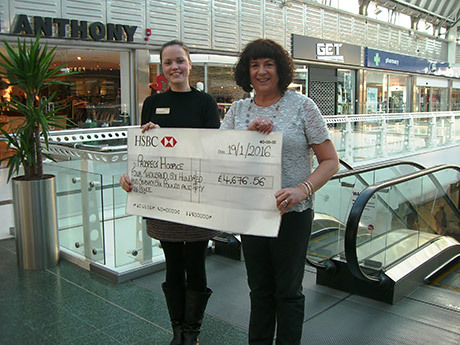 Shoppers were able to have their purchases wrapped in return for a donation to the Hospice. The Brunel Centre donated wrapping paper and other materials needed for the mammoth job. Local business Dialog Semi-conductors also donated wrapping materials. Jane Stewart is the centre’s Marketing Manager and said that the charity gift-wrap was even more popular this year: “We first tried this out in 2014 and not only did it raise a great sum of money for Prospect Hospice, it also proved to be very popular with our customers” said Jane. “Word has clearly spread around the town and we’re absolutely thrilled that this Christmas the event raised a whopping £4,676.56! It’s exceeded all our expectations and is just brilliant news”. Local charity Christmas Care also benefitted from the generosity of The Brunel’s customers with £350 being raised for the Charity from donations given for reindeer food. Visitors to the centre’s Santa’s Grotto were invited to donate a minimum of £1 for reindeer food, with all proceeds going to the cause. Swindon-based Christmas Care provides shelter, care and companionship for Swindon’s homeless and needy at the Queen’s Drive Christmas homeless shelter.